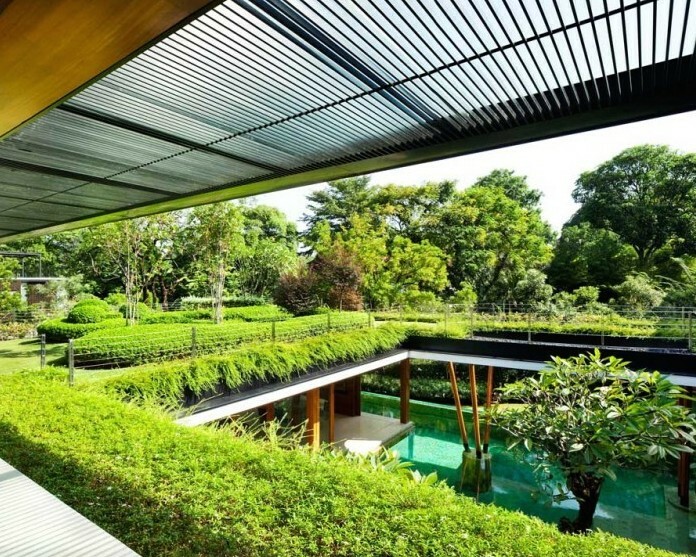 Singapore’s Water Lily House by Guz Architects centers on a clever illusion. 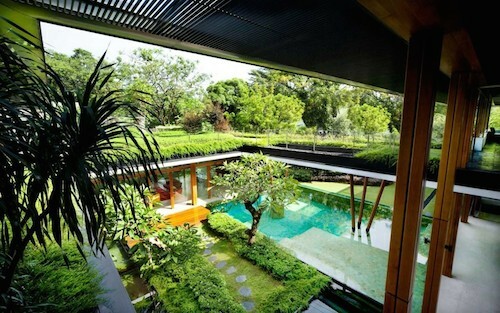 The amazing tromp d’oeuill turns the second floor into what appears to be a typical Singapore house on a grassy lawn. 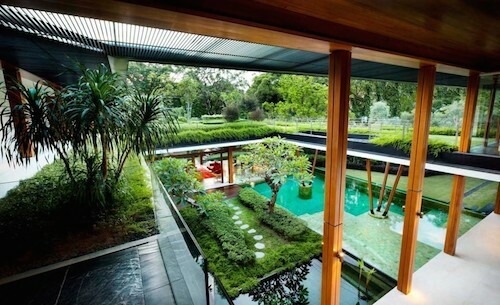 …until you look to the edge of the lawn. 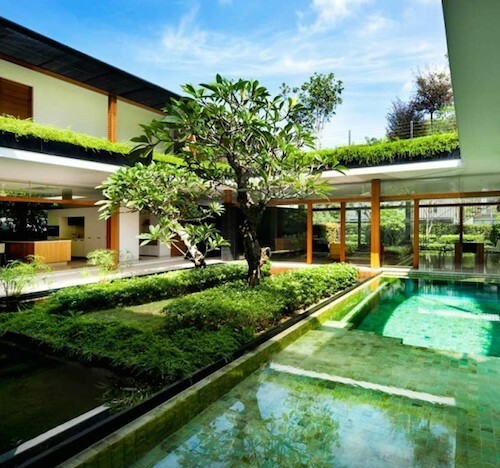 The extensive green roof doubles the garden space – which doubles the cooling effect of green growing grass. 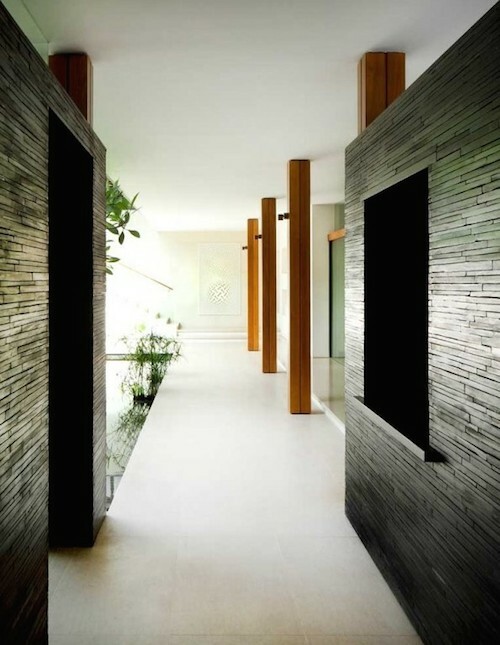 With its contemporary black and white colour palette, the house is as cool as it is refreshing. 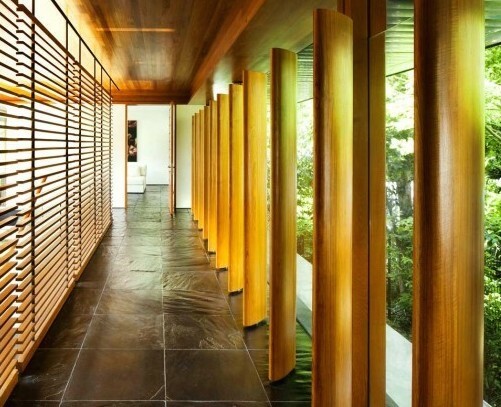 Rough polished slate tile works perfectly with thick tropical hardwood shutters that turn to direct breezes. 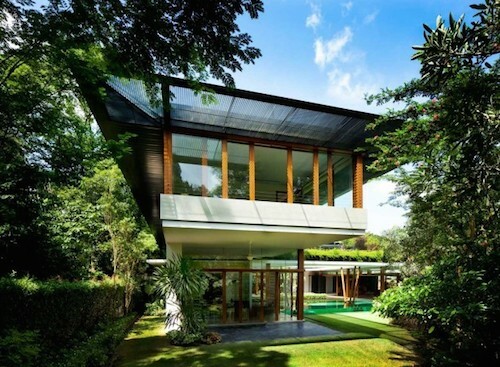 The all white, black and rich wood tones make the perfect foil for the rampant greenery. The living room on the actual ground floor opens up fully on three sides, thanks to floor to ceiling glazing. 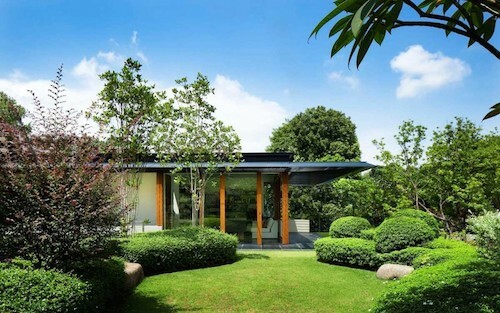 Outdoor rooms predominate in the tropical climate. 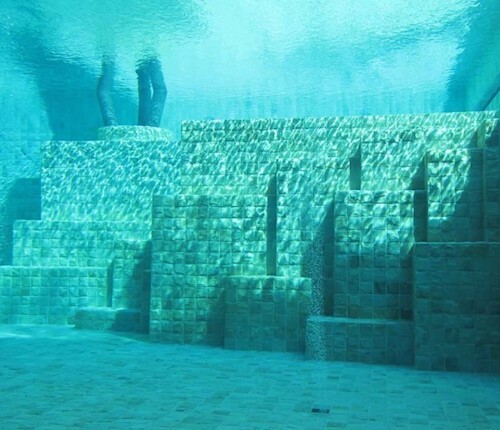 Under the pool is yet another world. An intriguing subterranean assortment of brick or tile structures. 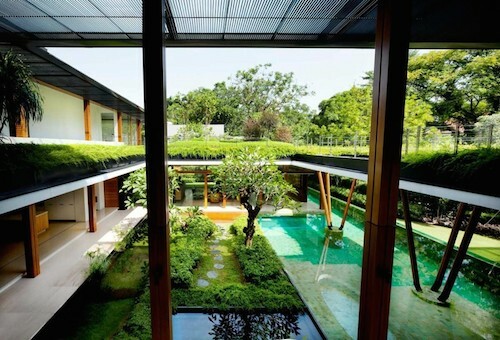 And here we are viewing the house from the actual ground floor – hint – see pool at rear. 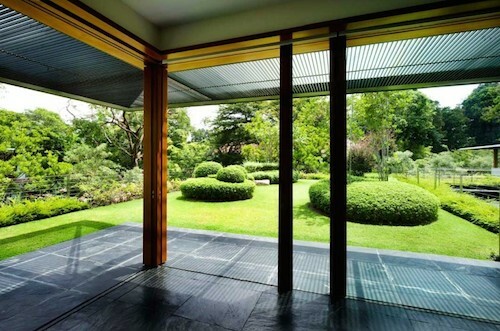 This entry was posted on Sunday, November 4th, 2018 by Susan Kraemer and is filed under Architecture. You can follow any responses to this entry through the RSS 2.0 feed. You can leave a comment.